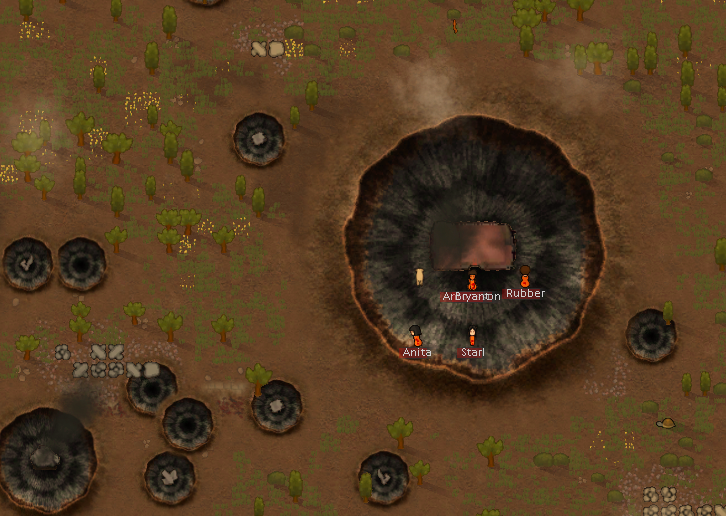 This is an announcement topic of an overhaul/modpack mod called Rimworld Ascension (mentioned as RA further down). It has been in development for quite a while, but requires even more to work on. So, the purpose of this topic is to introduce it to the community as a raw concept, rather than present a playable build (although you can still download it and play, but it's content is very limited at the moment, and the mod itself has not been properly debugged and balanced yet. Furthermore, some not-yet-finished features has been cut off for this test build). 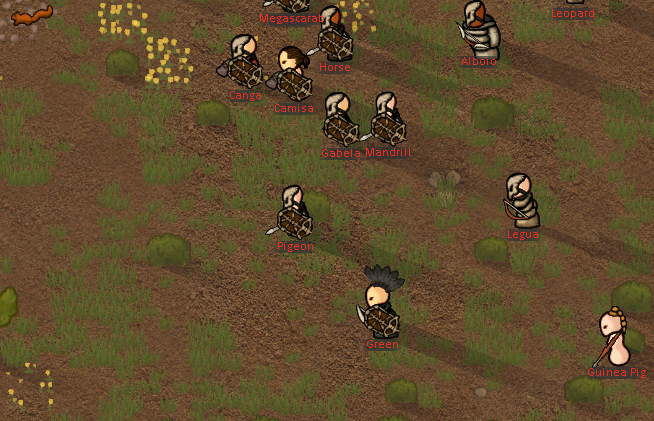 Improved version of ground caravans. Now with actual hauling jobs to bring colony goods to the trader and reworked trade system to make it work (no more magic distant trading with disappearing items). New caravan AI, carrier texture and trading post as a bonus. Igridient based research system. You study materials to aquire knowledge how to use them (performed at research table, as usual). Instant blueprint/book based researches as a bonus. After you enabled the mod, you should create new world for it too. If you want to disable the mod or try to enable some other mods above it, reload the game after doing that. Loot the ship wreck your crashed in to find the survival guide, which unlocks starting build options and researches. 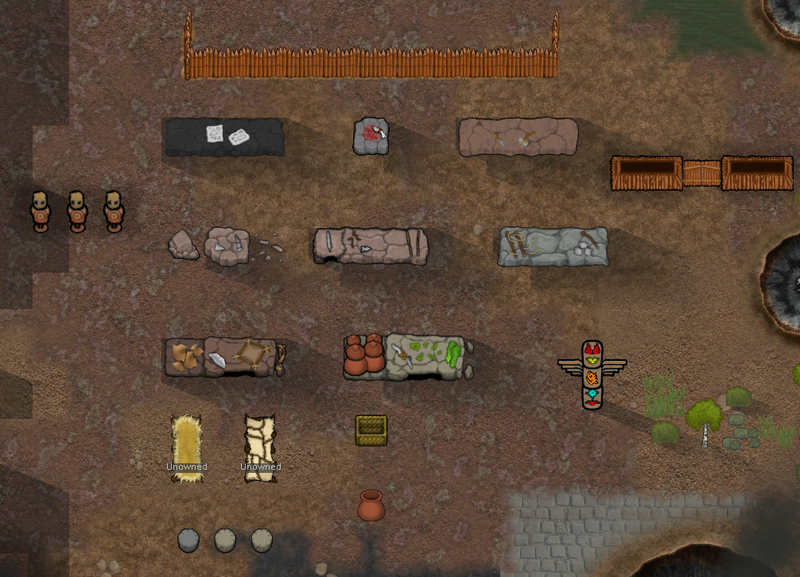 Check nearby crashed drop pods for tools, medicine and survival meals. In order to aquire more tools, you need to craft them (handaxe and hammer). That would require researching masonry and carpentry. You have no access to picks for mining yet, because mining is not meant to be available in Neolithic period. It's a feature that becomes available after researching smithing in Medieval. Explore various implementations to the game, but keep in mind that there is almost no content there so far. And you can't progress past neolithic period yet. Skullywag - coder, artist, defs editor. Alistaire - artist, defs editor, coder. Mrofa - lead artist, coder, . "Landfall" by TheSkypainter as main menu background. Backpacks from Tools For Haul by BBream. Hay floor from T's Mods by Telkir. Various textures from Apparello by Shinzy. Various textures from Right Tool For The Job by ItchyFlea. Detouring method from CCL by RWCCLTeam. (23.05.16) 1.0.1: - fixed game breaking bug with crafting. (22.05.16) 1.0: - announcement release. I've been waiting for you to release something for this! You've been teasing us in Slack chat for months! Omggggg this looks amazingggggg! :O! Wow, looks like this will be amazing! Find me on Steam and also follow my curator page! any chance of having the container mod as standalone? Yeah this sounds great. I would also agree that I see a future need for some of these features to be independent modules to pick your favourites from. Those crude beds make so much more sense for an early setup than the vanilla beds we start with! That stone butcher's table looks great too. For the muffalo I would have expected big saddle bags instead of a cart like that - looks a little cumbersome however technically practical. Great work, I look forward to hearing more about this development. Looks like my gifs generated too much traffic (more than 20GB for dropbox). Update: mod download mirror link added and all images fixed. yup. Also this mod will be modular so your mod may be also in it with rebalanced recipes.